On 8 April 2013, it was Fidelina Sandoval’s 24th birthday. 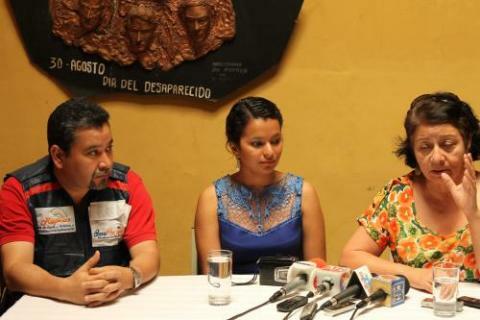 She had worked for two years at Radio Globo, one of the few stations broadcasting information on the social protests in Honduras since the coup which overthrew President Manuel Zelaya in 2009. Fidelina stated that the week before she had received phone calls from strangers who asked her for information under various pretexts. She received these calls after reporting on the clean-up of the police force and the land conflict in the Bajo Aguán. For example, on 4 April, Radio Globo broadcast her interview with Aldo Oliva, the Police Commissioner, on the purge of the organization’s senior ranks. On the Bajo Aguán, she reported on the discovery of a clandestine grave, believed to contain the body of at least one disappeared person (possibly more) who had been involved in the struggle to defend their land. Her report stressed that some people from the armed forces were impeding the investigations. As well as the support provided by COFADEH, Fidelina received international accompaniment from PROAH. Fidelina Sandoval is the latest victim in an endless succession of threats, harassment, attacks, kidnappings and murders suffered by journalists, a level of persecution which, according to UNESCO, has turned Honduras into the country with the highest murder rate for journalists in the world.1 CONADEH (the Honduran National Commissioner for Human Rights) has reported that of all the journalists killed in the country in the past decade, 80% – a total of 28 – have been murdered since Porfirio Lobo took office in January 2010.2 As a result, many journalists have chosen to go into exile in search of safety for themselves and their families. This call for greater protection of journalists and human rights defenders by the state echoes that made by Margaret Sekaggya, Special Rapporteur for human rights defenders on her visit to Honduras in 2011 (see blog article) but it is one that still remains to be answered.